Thrombosis is a common and unifying phenomenon among persons with atherosclerotic coronary artery disease and occurs typically at discrete sites of vascular injury, defined pathobiologically as foci of endothelial cell disruption or dysfunction and overt atheromatous plaque rupture. 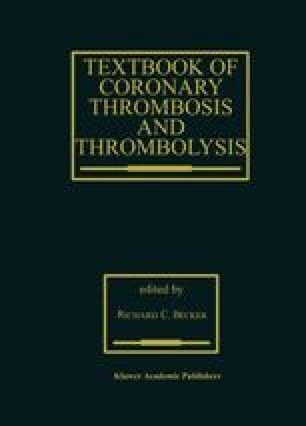 Over a century ago, Rudolf Virchow suggested the now classical triad of associated factors leading to pathological thrombosis: (1) stasis of blood flow, (2) abnormalities of the blood vessel wall, and (3) a procoagulant state. Accordingly, researchers and scientists over the years have developed experimental methods that apply one or more of these sacred tenants. Models have also been developed that can be used in the study of treatments for vascular thrombosis. The recent focus has been on antithrombotic and thrombolytic agents.